SPECIAL OFFER! RRP: £320 (+VAT). SAVE £32! 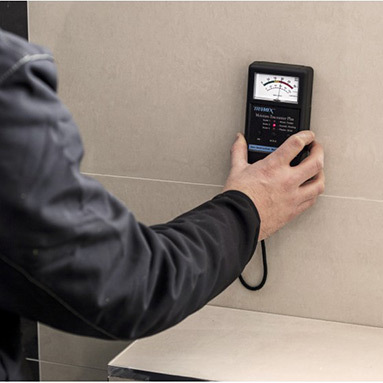 Tramex MEP - fully upgraded version of the World's most popular non-destructive damp meter - the Tramex Moisture Encounter. The Moisture Encounter PLUS is the fully upgraded replacement version of the world’s most popular and successful non-destructive moisture meter the Moisture Encounter. Non-destructive moisture measurement of wood, plaster, drywall, block, brick, roofing and most materials found in the building envelope using 3 ranges of sensitivity. Deep signal penetration to detect elevated moisture through most covering materials such as Ceramic tile, Drywall, Carpet, Vinyl Flooring, VCT, Floor Laminates, Wall Coverings, Roofing Membranes and Coatings without having to damage or puncture the materials being tested. Rubber electrode pads in direct contact with material being tested for better sensitivity and depth of signal penetration. Deeper signal penetration up to over 1" into the materials being tested. Wider range of readings for wood of 5% to 30% and 0 to 100 comparative for all other materials. Larger clear easy to read display giving meaningful readings. Hold Function enables user to "freeze" the reading. Useful for taking readings when the meter face is not visible. Switch-able "On" or "Off" audio warning tone. Automatic Power Cutoff switches "Off" when not in use. Automatic Default to last user setting when switched back on. The new Moisture Encounter PLUS incorporates the latest digital technology with analog read out and ease of use.